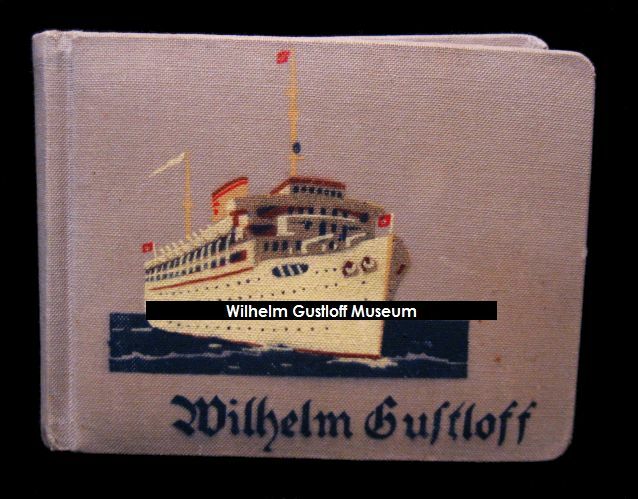 Featuring 24 images of Hamburg, Germany including 3 of the Wilhelm Gustloff and Robert Ley. 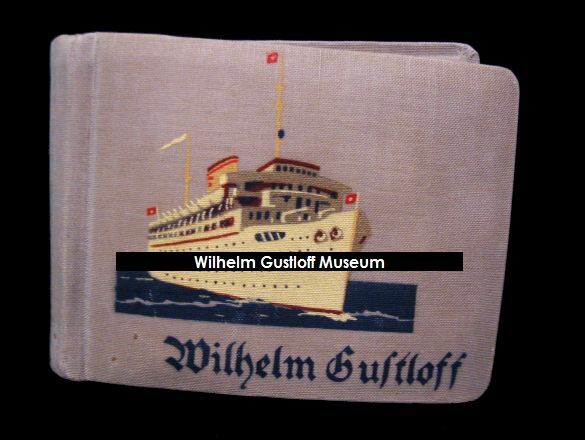 Includes standard Wilhelm Gustloff souvenir photos and Norwegian Fjord souvenir photos. Two heavy paper containers which hold negatives from Hamburg's docks. 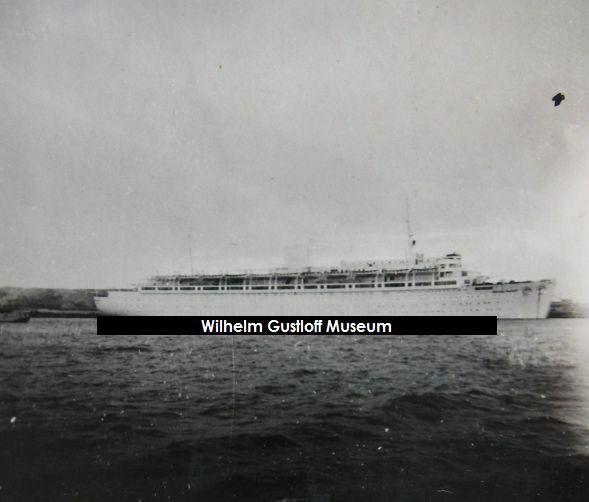 Container #1: 8 negatives of the Wilhelm Gustloff sailing out to sea. Negatives and reproduction images are shown at right from container #1. Listed under Accommodation Ship page. 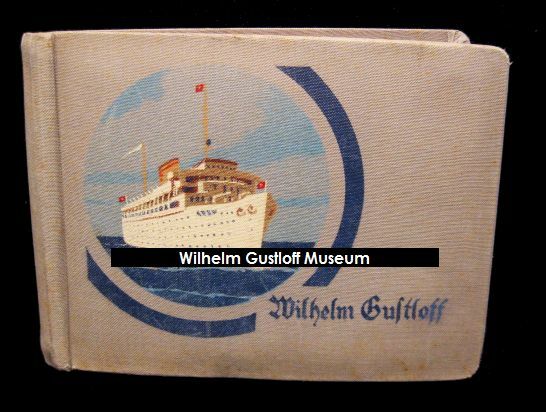 This album has the standard souvenir photos of the trip, as well as some with the group of passengers on various places on deck. 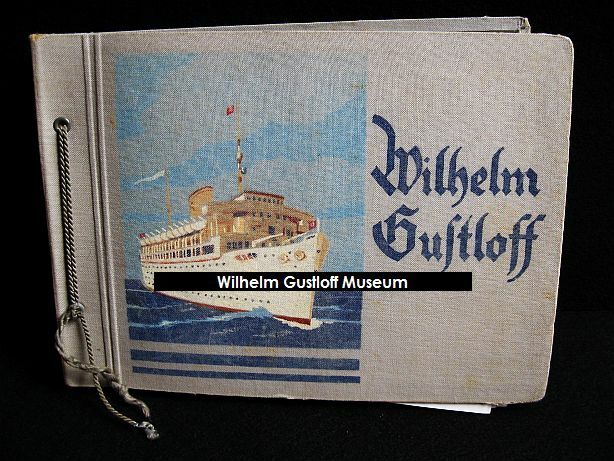 Three of the postcards were posted onboard the Gustloff during the voyage. 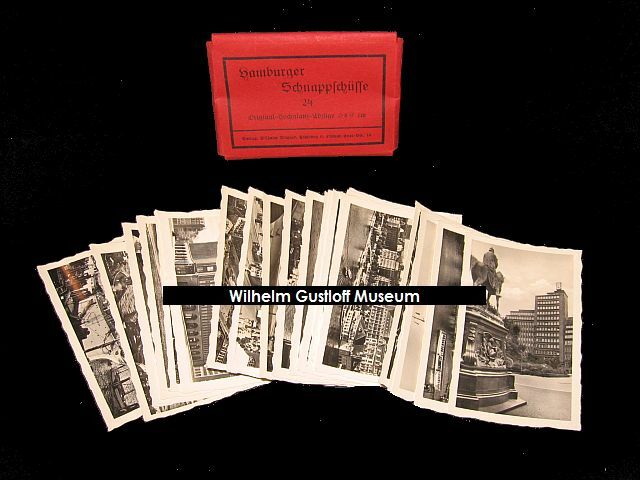 There are also 7 larger press photos of some unknown German celebration all dated June 27th, 1943. "Moselland-Bilderdienst. Herbert Ahrens. Presse-Illustrationen Amtl. Bildberichterstattung. Koblenz-Trier-Luxemburg." 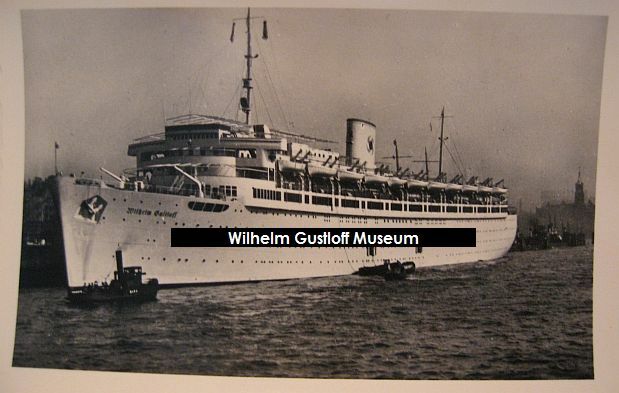 Voyage #28: February 14th, 1939 - February 25th, 1939. Also includes voyage paperwork and menu for February 20th. 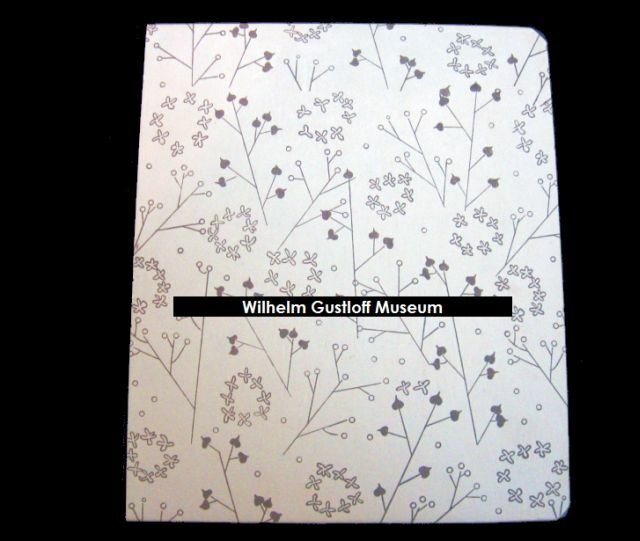 Also included: Travel booklet, currency conversion slip, and other paperwork. 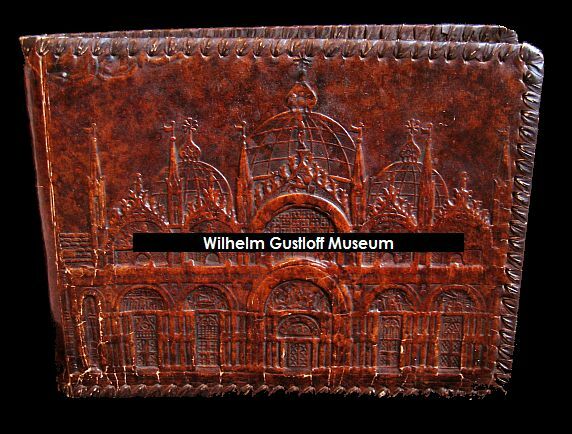 This album (along with several other items acquired including menus, tickets, and travel pamphlets) comes from a larger family collection originating in Lübeck & Köenigsberg, Germany. 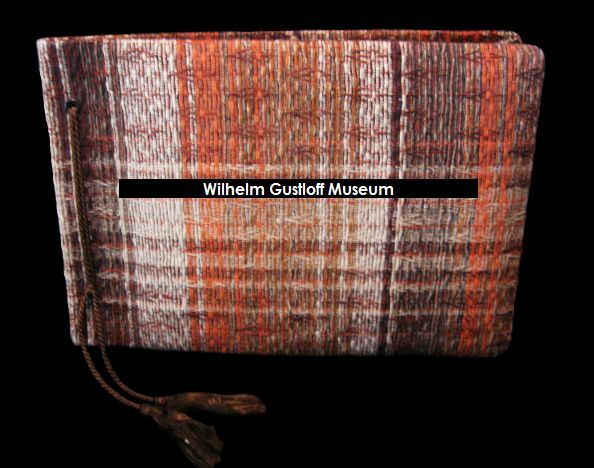 I was able to obtain some of these items through the next of kin currently living in Regensburg. 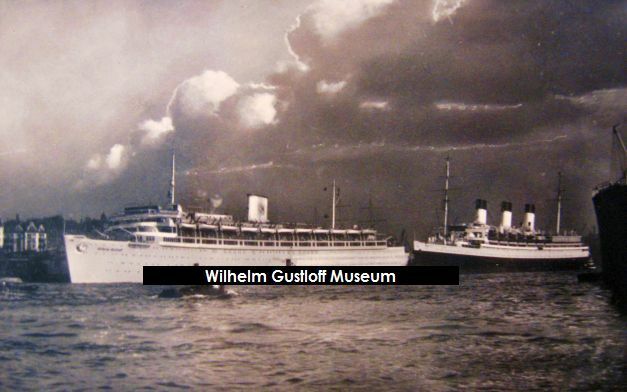 The gentleman's uncle worked for the KdF and had many items from working on board the ships including the Wilhelm Gustloff, Oceana, Robert Ley, Stuttgart, and Sierra Cordoba. 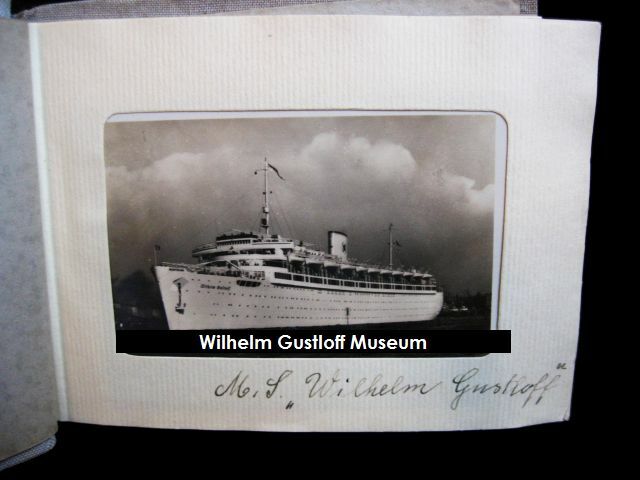 There was a time when the grandmother's brother served as the medic on board the Wilhelm Gustloff in 1939, and the family would often sail on her. 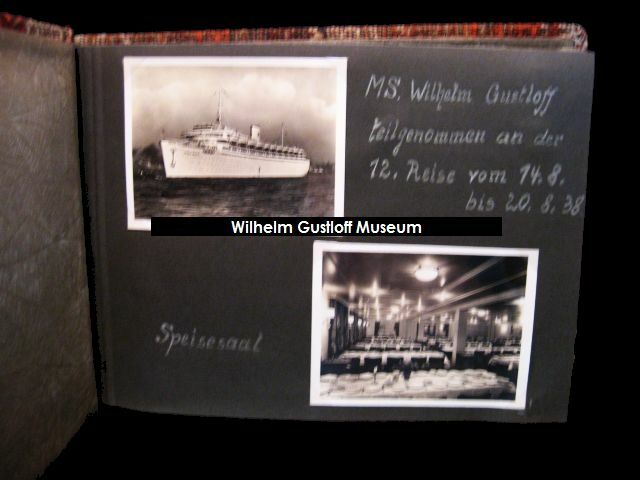 Below the translations are additional photos of the Wilhelm Gustloff from a voyage to the Norwegian Fjords in 1939. These photos were taken during the grandmother's honeymoon trip. 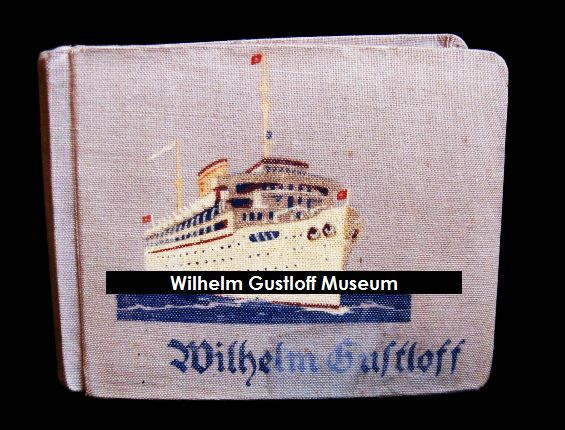 Currently in the family possession is a Kriegsmarine towel given to the aunt in Gotenhafen to keep her hands warm while waiting to flee on board a ship. Trip around Italy from February 14th to February 26th 1939. An anchor weighs: 7,000 kg. Anchor chain: 300 m length, weight: 101,000 kg. A link of the anchor chain weighs 60 pounds. 4 Crude oil motors: 30,000 liters of oil. 8,000 candlepower at 40 watts. 22 lifeboats at 80 people each. 1,080 Sq. meters on the Sun Deck. 1939 - Voyage Number Unknown, Honeymoon Voyage from above. 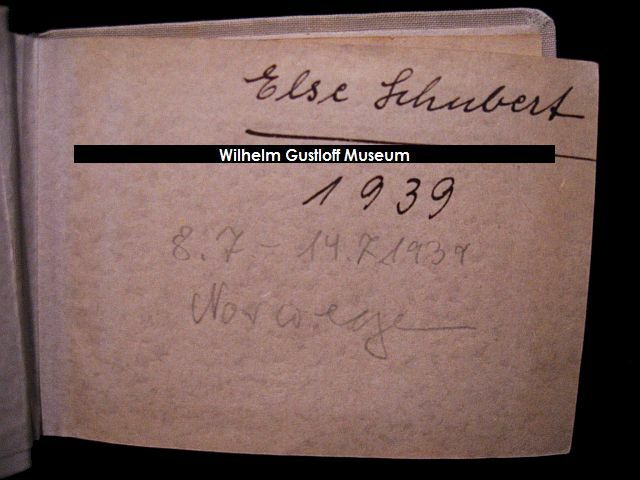 Voyage #17 - September 18th, 1938 - September 23rd, 1938. If anyone can identify any additional ships or port, please contact me through the email link on the Introduction page. 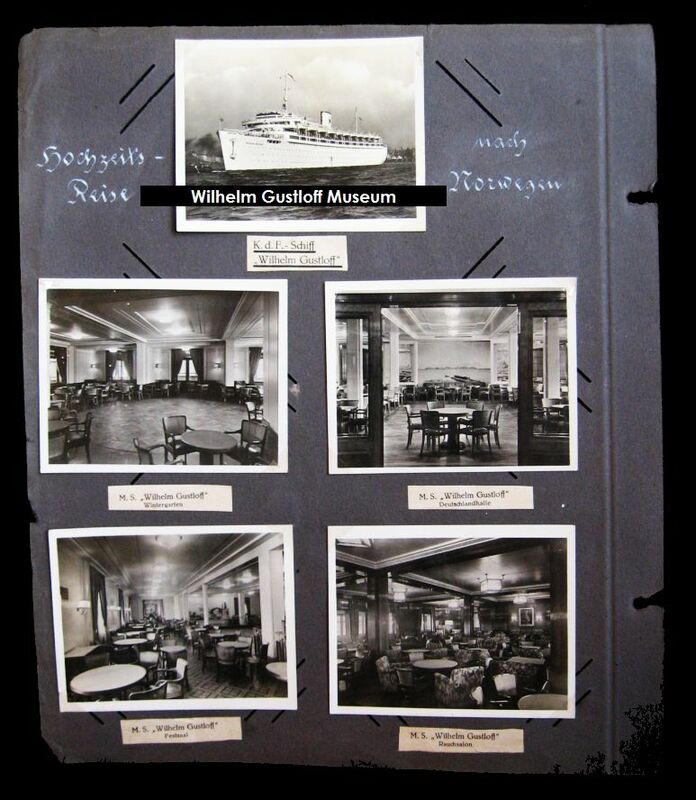 - Photos above include the Aviso Grille - sometimes called Hitler's Yacht, though not an official designation. 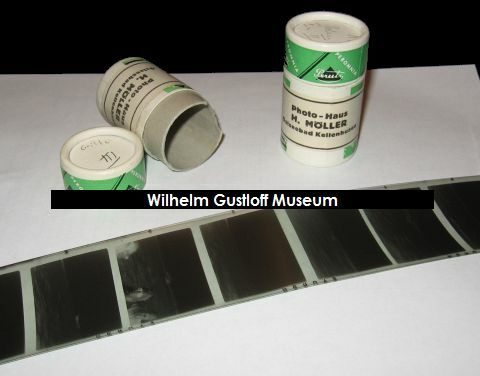 These last negatives are from Kiel Harbor. 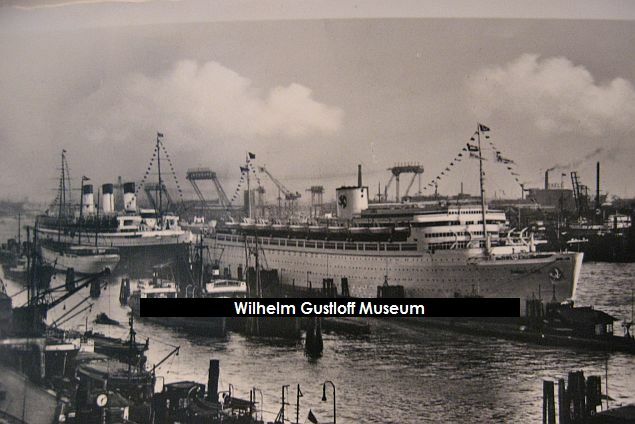 - The first two images are of the submarine memorial in Laboe. - The following three are of the German light cruiser Konigsberg. - Second photo from the left: #32: destroyer Z15 - Erich Steinbrinck. - Second and third from the right is the light cruiser Konigsberg again. - Bottom row, hull number 11 is the destroyer Z4 - Richard Beitzen. Additional photo and artifacts under the KdF / Aviso Grille page. Value of Laundry / Linen - 1/2 Million Mk.